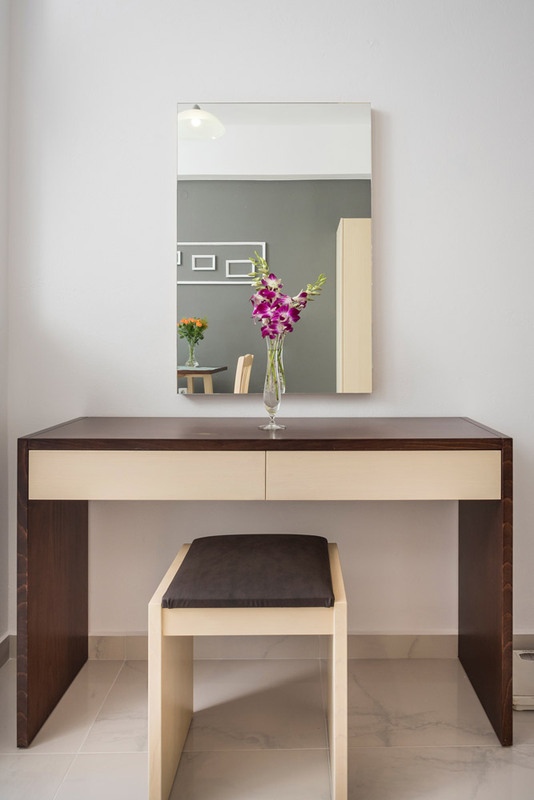 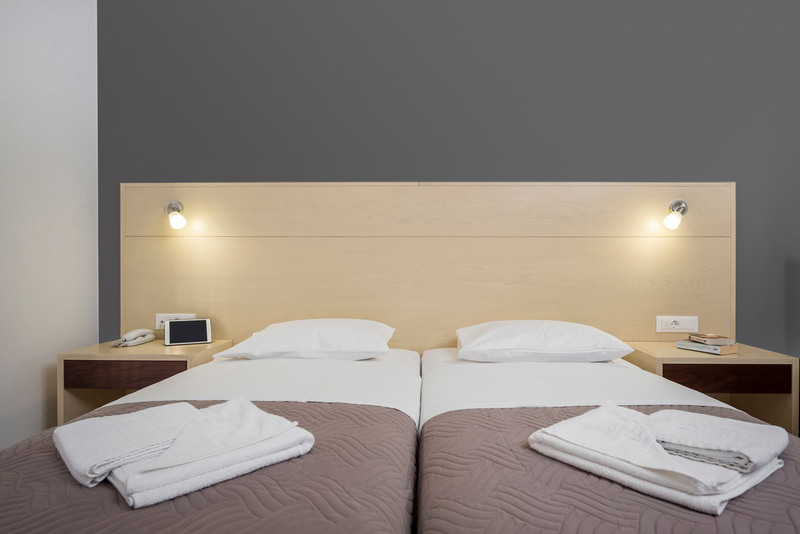 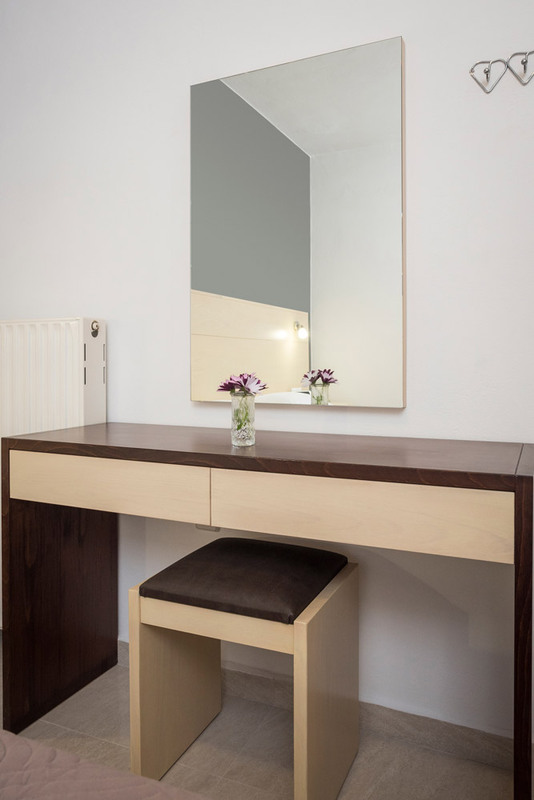 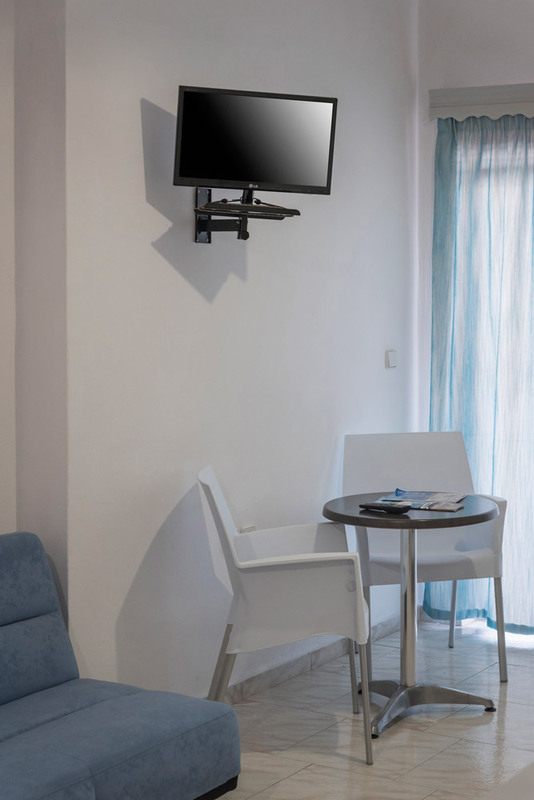 Simple and minimalistic, cool and spacious are only few of the things you will find in our apartments. 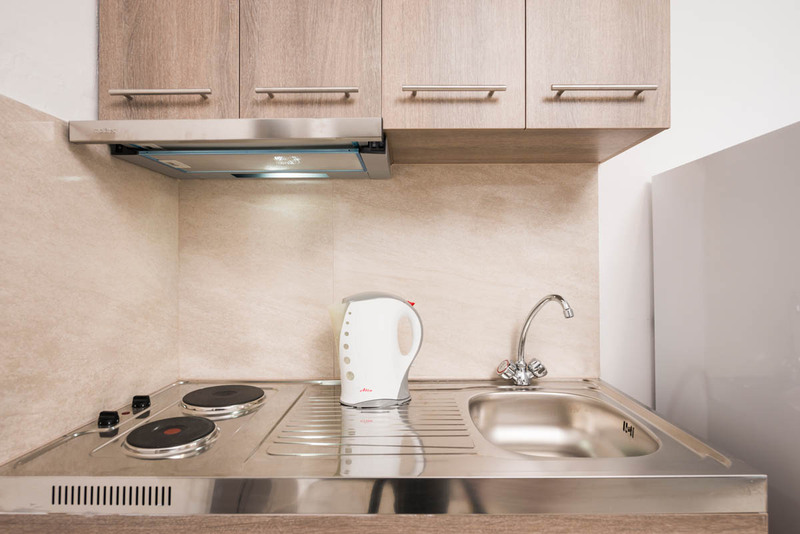 Each of them comes with an alternate decoration and a fully equipped kitchen in order to prepare your breakfast or your meals. 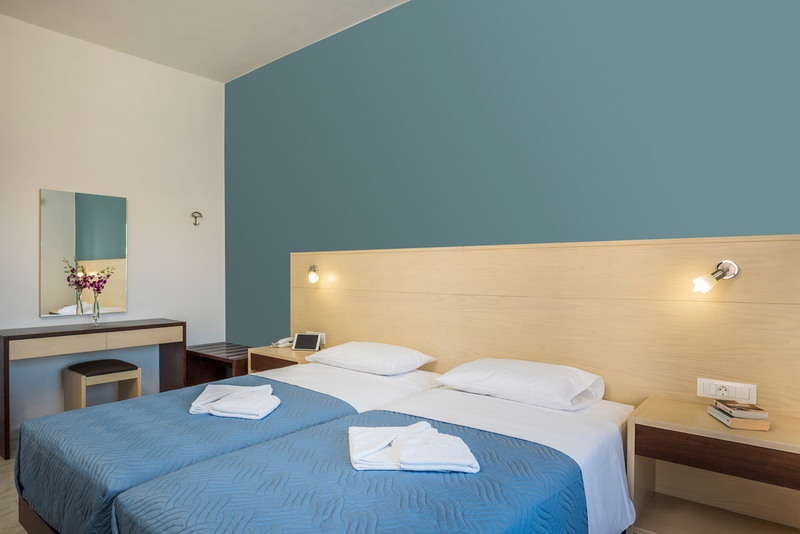 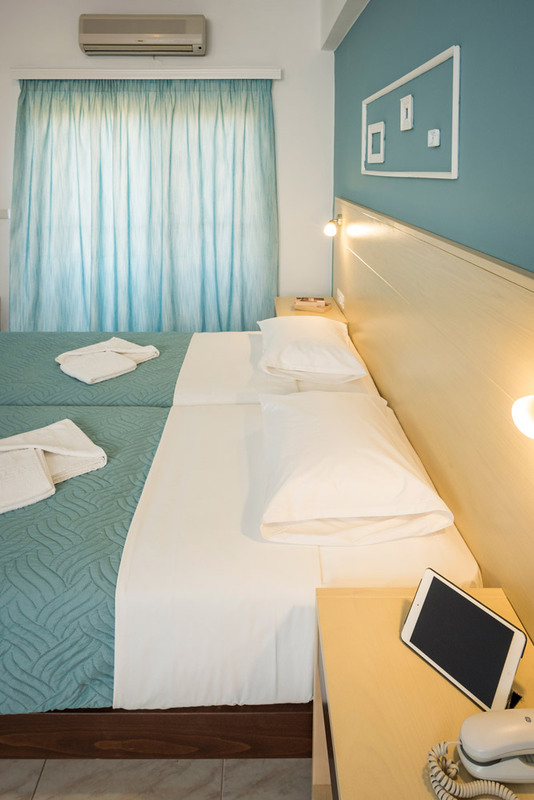 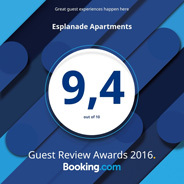 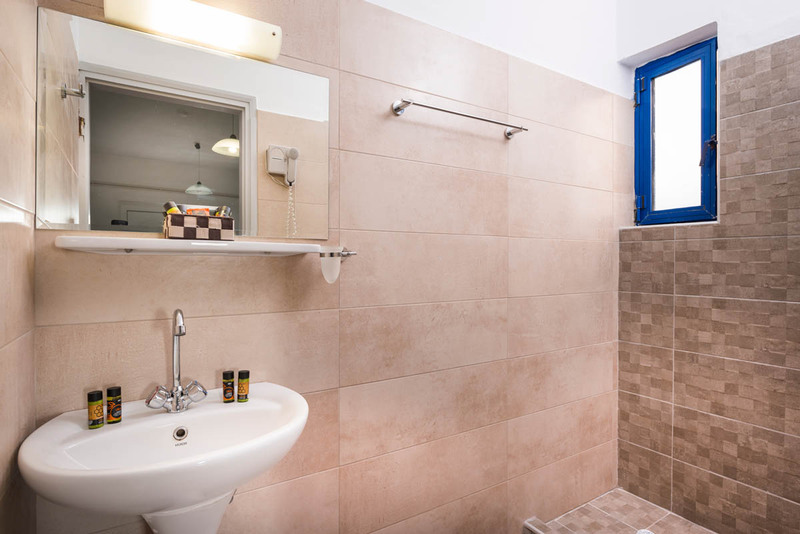 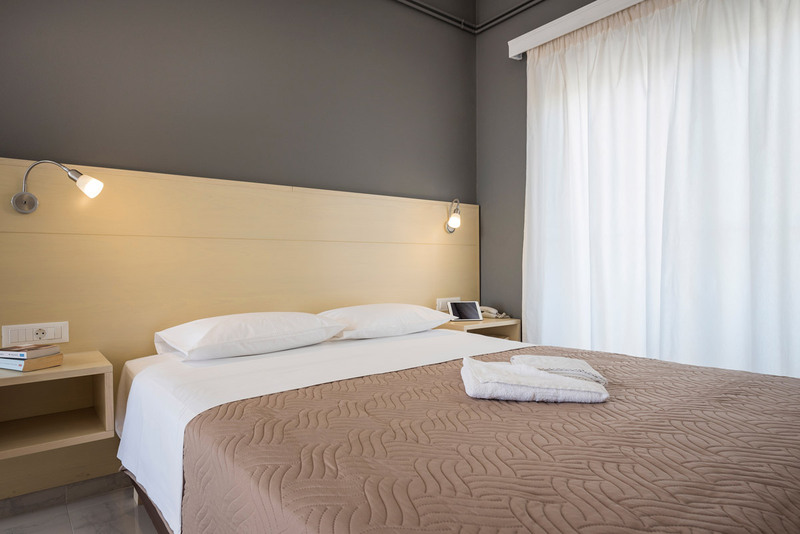 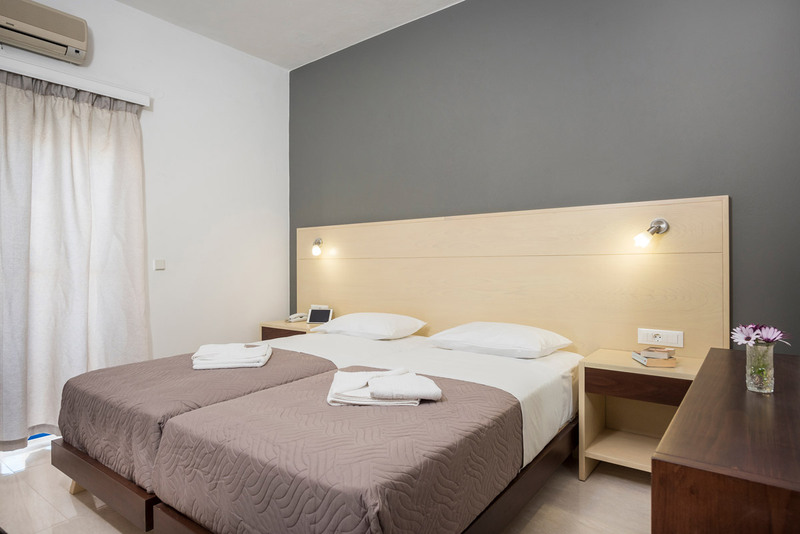 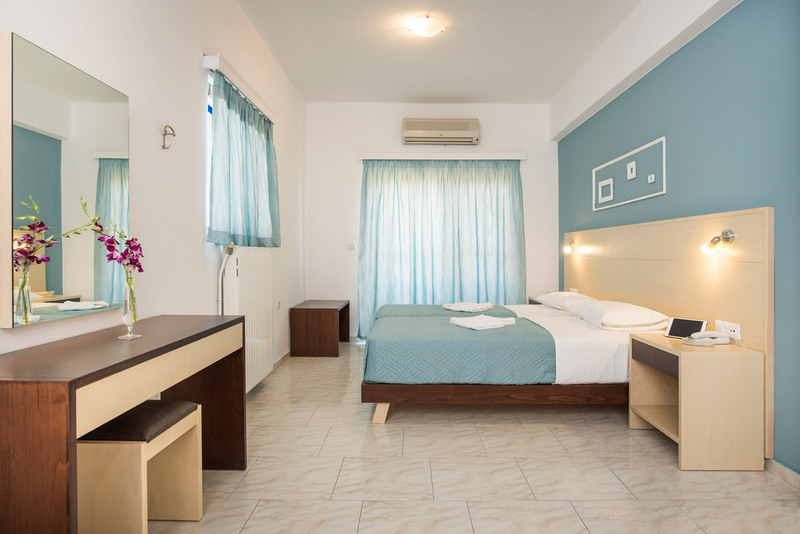 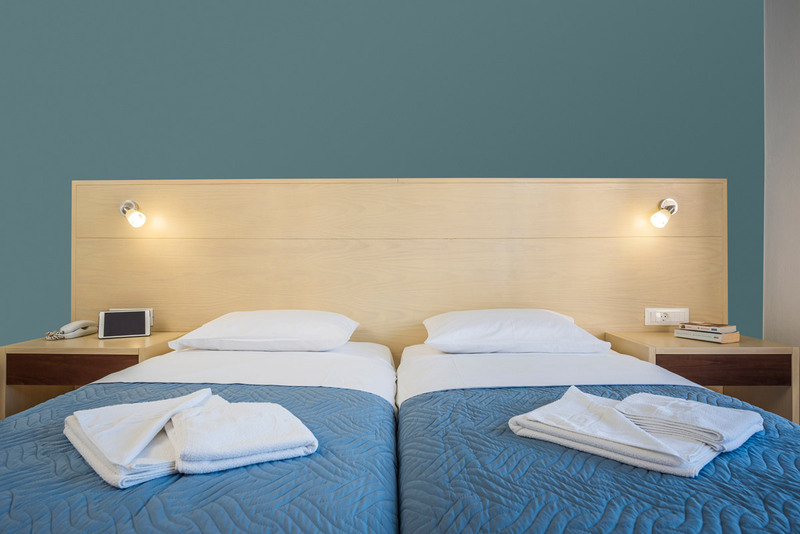 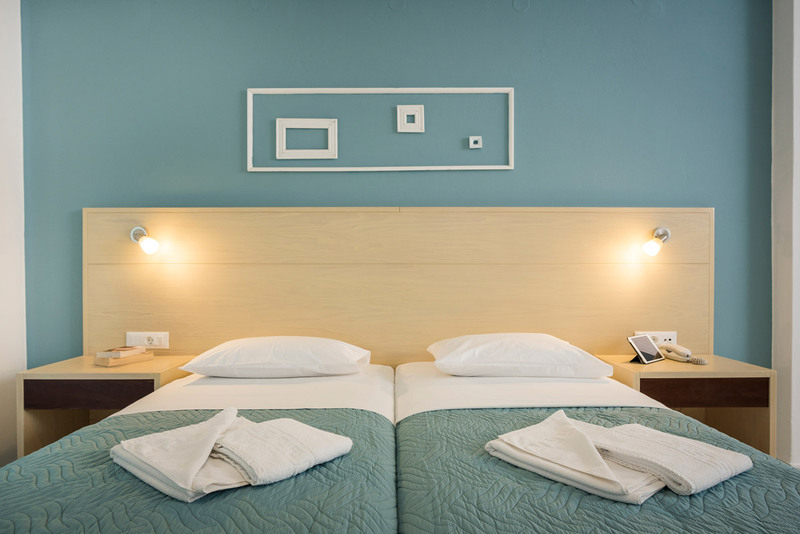 Our studio apartments in Chania consists of a single large room large enough to accommodate two or three guests. 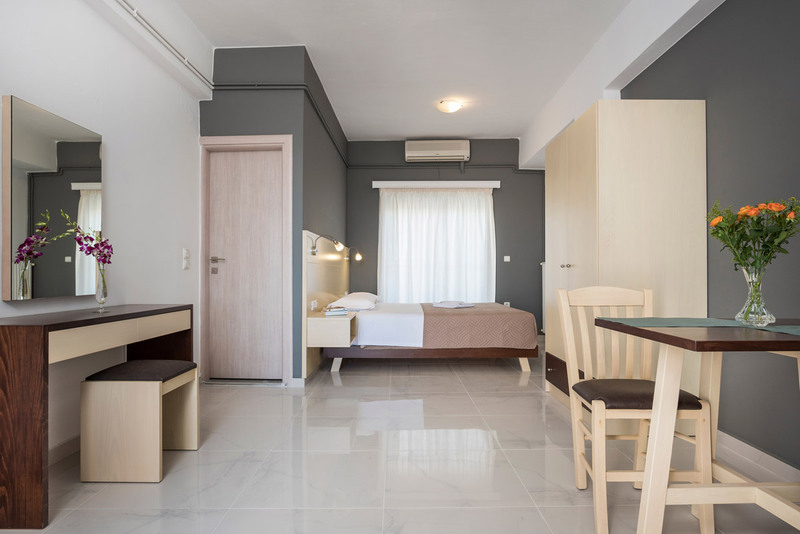 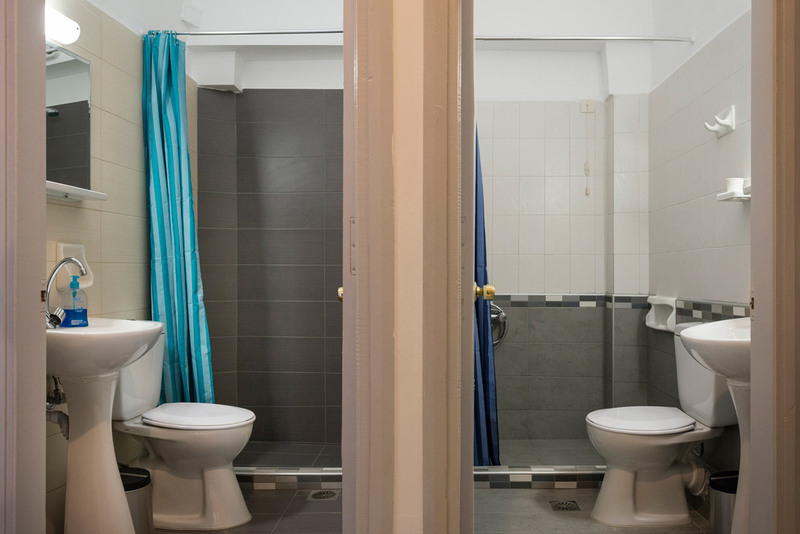 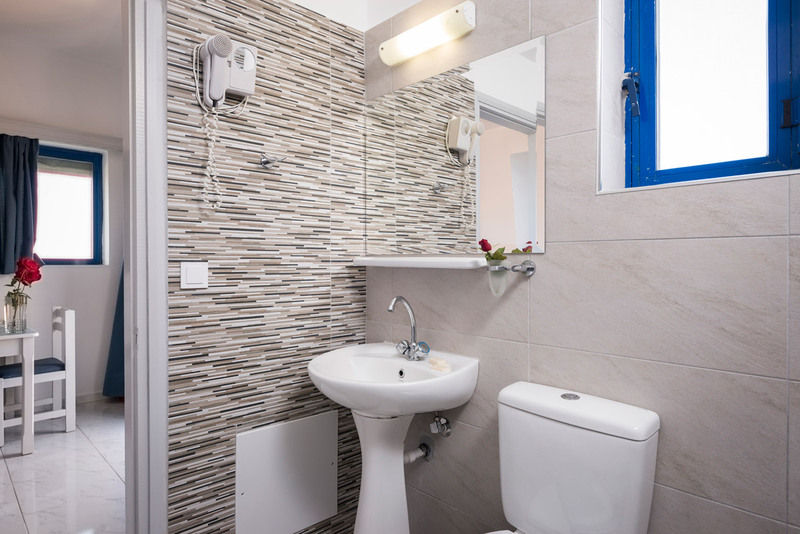 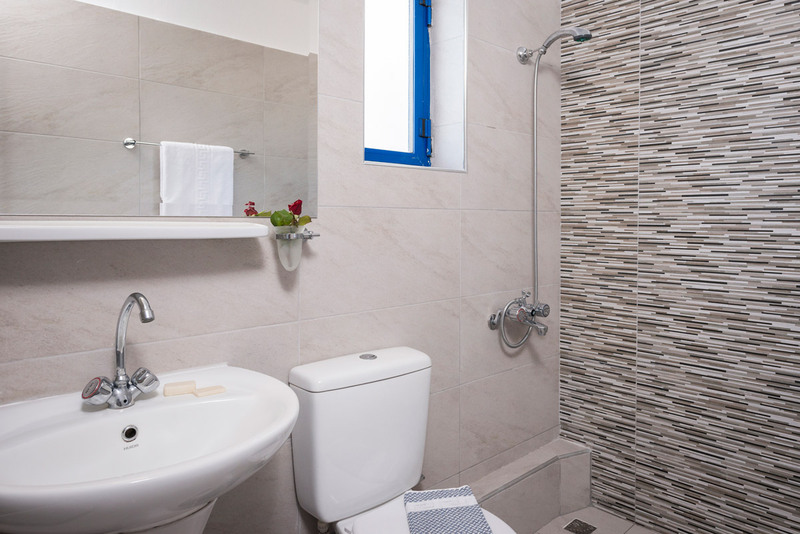 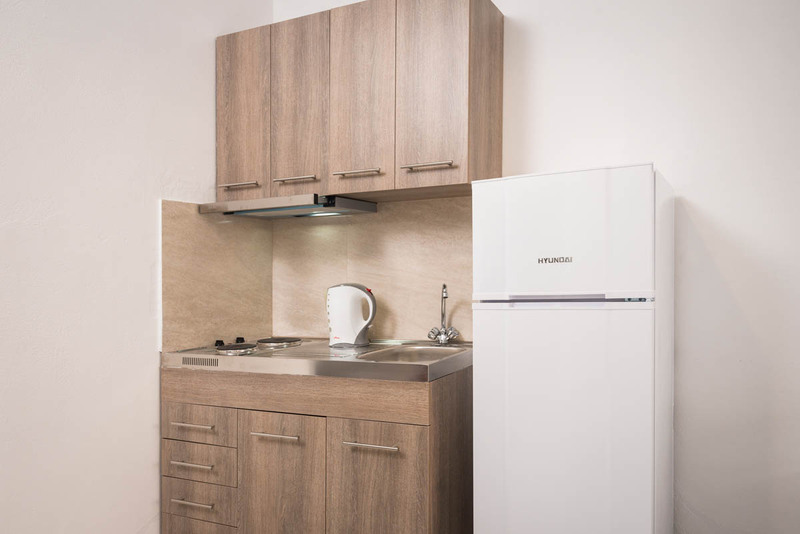 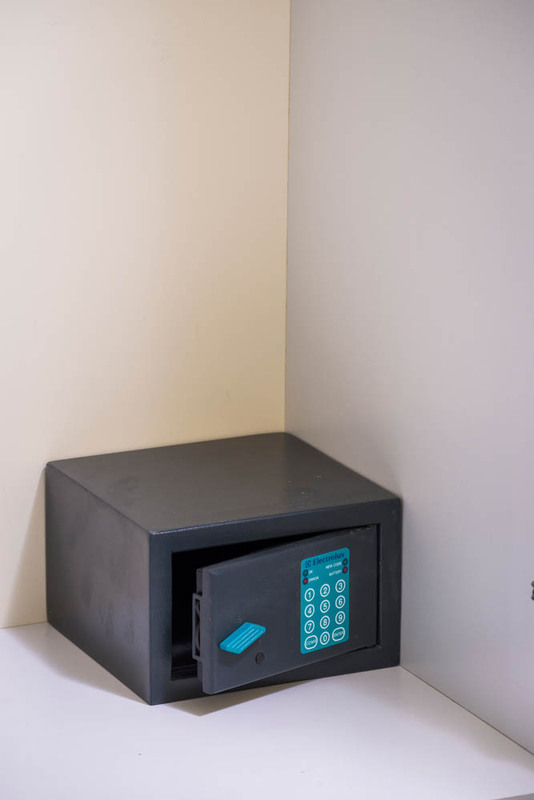 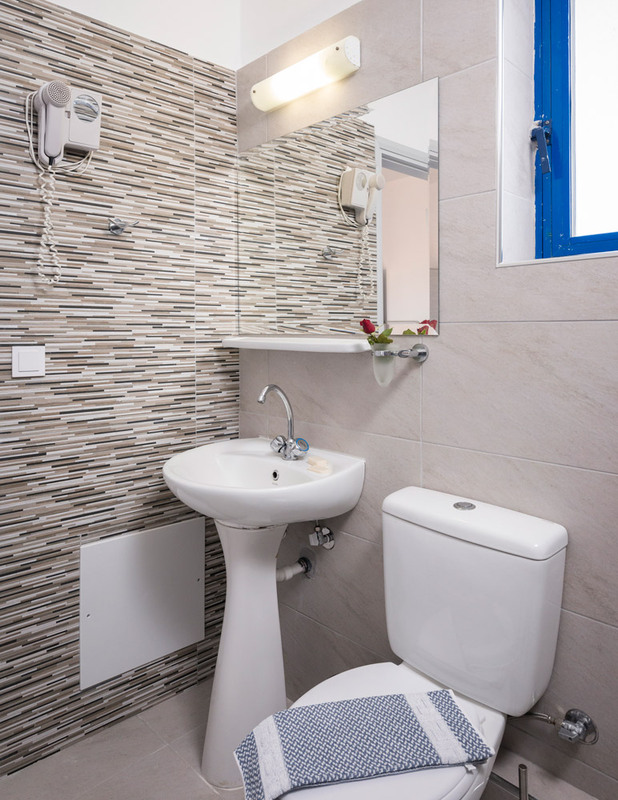 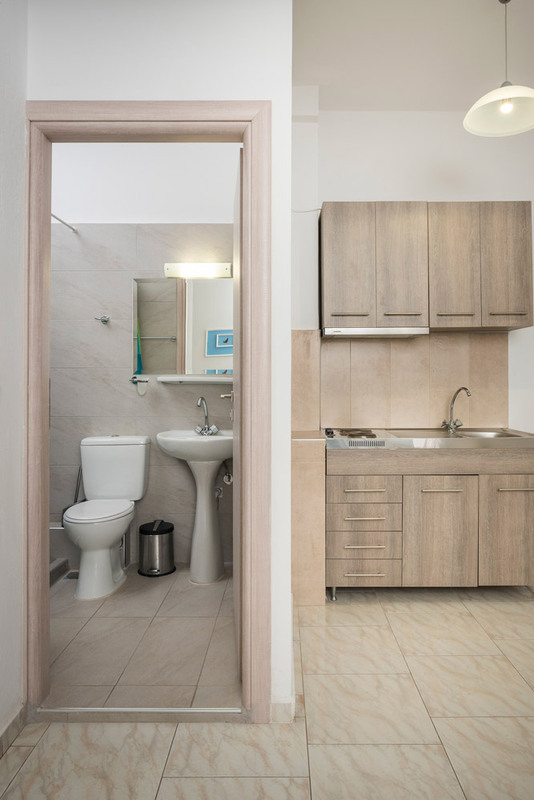 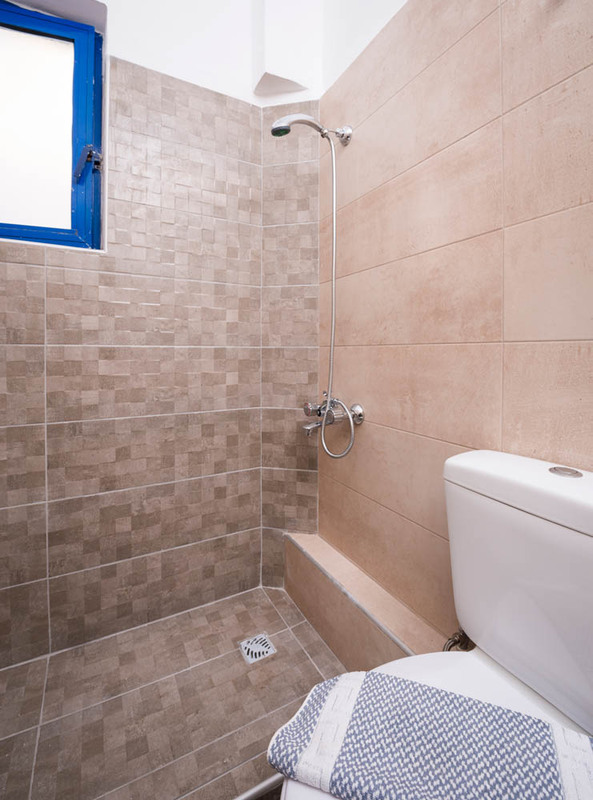 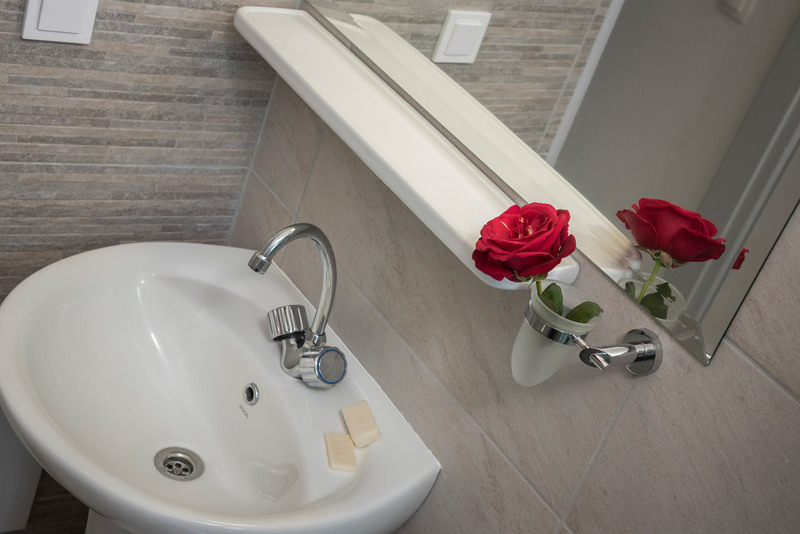 Studio apartments are equipped with a private bathroom, central heating, air conditioning, satellite television, telephone, refrigerator and cooking facilities. 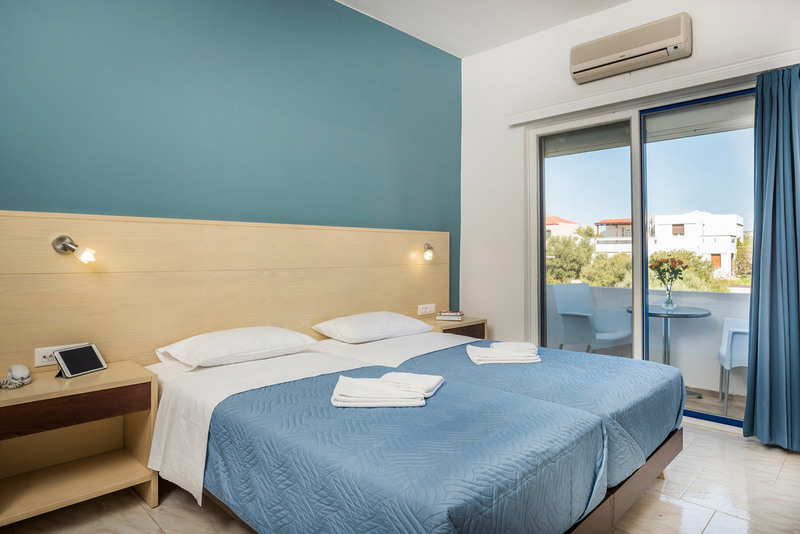 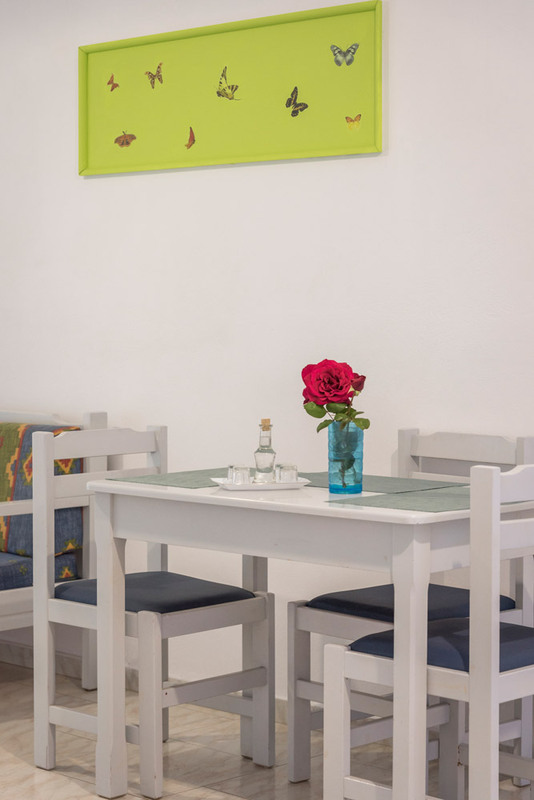 Our one bedroom Crete apartments have room for up to three guests or a small family. 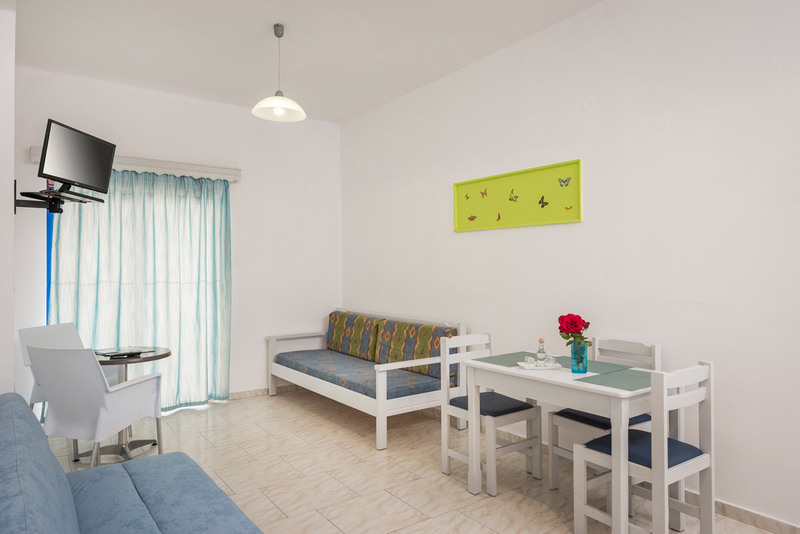 These apartments in our Crete hotel have either a kitchen with living room. 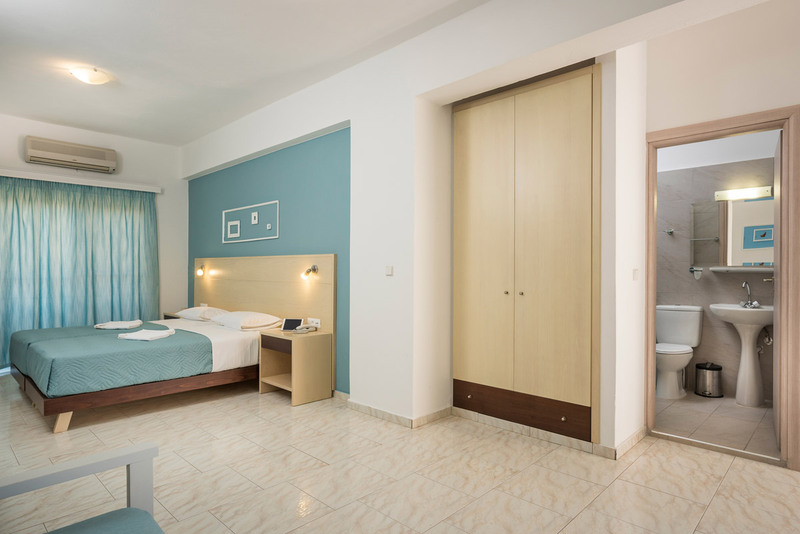 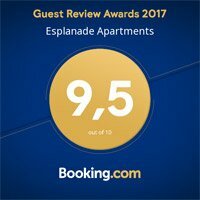 Sea view three bedroom apartments in Crete provide comfortable Crete accommodation for big families or groups of four to six guests. 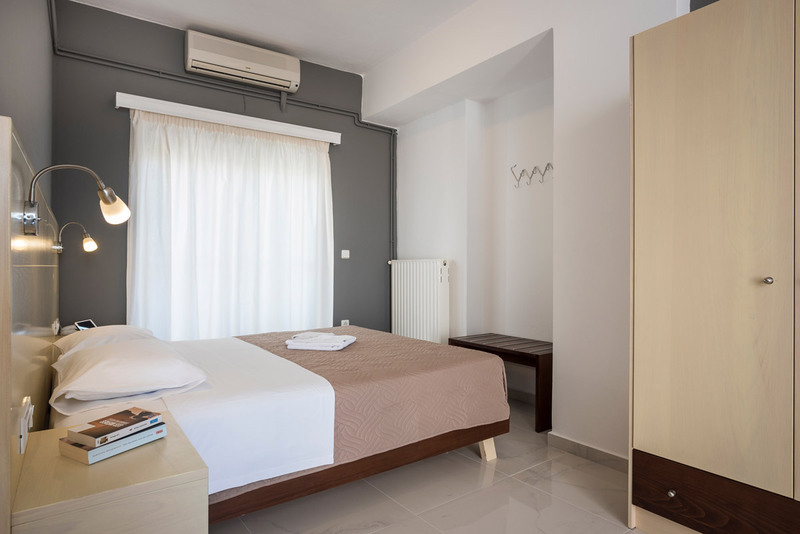 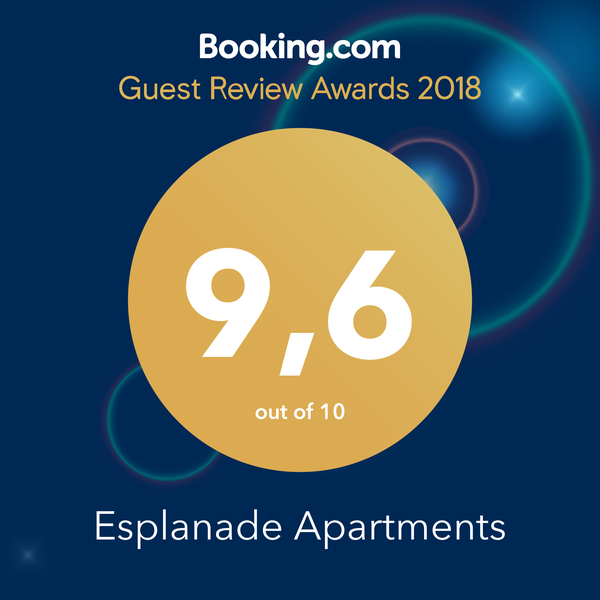 The apartments have three bathrooms, three balconies, air conditioning, expansive kitchens, and the features and amenities of our smaller apartments.